This class was spectacular and is highly recommended for anyone with a big sweet tooth. The class started off with a sugary bang when we were all invited to attack a platter of 24 perfect-looking cupcakes. Then, split into three groups/teams: chocolate, vanilla, and banana, we prepared the batters. What we liked a lot was how Butter Lane makes the whole process so fun and easy, especially with the ingredients being pre measured for us and having workers along the way cleaning up walkways and working spaces--what a luxury! 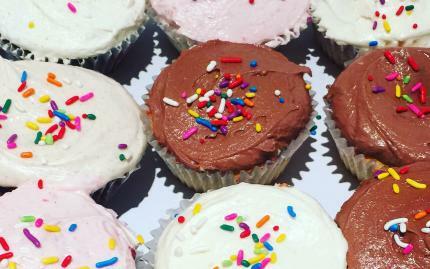 While the cupcakes baked, our instructor helped each group make their designated frosting: vanilla buttercream, chocolate buttercream, or cream cheese. After that, they showed us the magic behind turning these into specialty frostings. The vanilla turned into raspberry, the chocolate became chocolate peanut butter, and the cream cheese frosting became cinnamon frosting--yum! They were all beyond delicious. Perhaps the most challenging part was mastering the signature Butter Lane swirl, though. It's harder than it looks. We collectively frosted about 100 cupcakes, mix and matching the cakes and frostings however we pleased. Our favorite? Banana with chocolate peanut butter buttercream frosting. The best part was that we all got to hand pick a bunch of cupcakes to bring home with us! This macaron workshop was a very close second on our list. Macarons truly seem to be all the rage these days. People go crazy for them and there are tons of fancy bakeries in NYC that sell these bad boys for some pretty steep prices. Most macaron fanatics know that they are not the easiest to make on your own, so learning the techniques behind how to do so in a class taught by a professional instructor from Paris seems like the way to go. The instructor, Olivier, was trained under pastry chefs at the Meurice Hotel and Pierre HermÃ© bakery in Paris, so you just know heâ€™s gotta be good. And he is. The class was small, only 8 people, so you could get a lot of individual attention. The three hour class flew by because we were having so much fun. 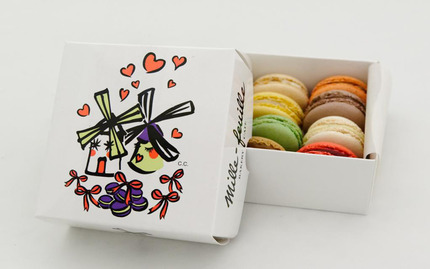 Youâ€™re first taught about the history and theory behind the macaron. 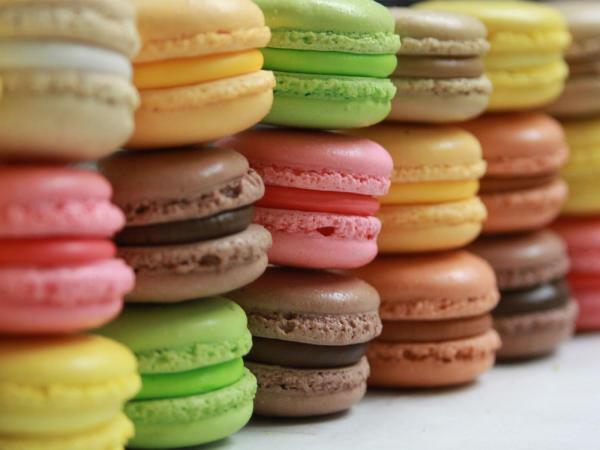 Did you know that all macaron shells are the same flavor, just dyed different colors? Then, itâ€™s time to start actually baking them from scratch. After the shells were baked, we had to match similar-sized shells to avoid any lopsided macarons, which was actually more difficult than you may think! With the help of our expert instructor, we then made many different flavors of fillings--our favorite was the pistachio (but it was a very close call)--and added it between the shells. After we finished baking, we got to enjoy a macaron tasting coupled with a hot beverage. You also get to take 30 macarons home with you to share with your friends! All in all, it was a very enjoyable, but also an extremely educational experience. 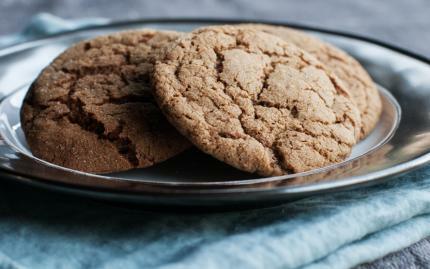 This class is perfect for those looking to move beyond the typical Nestle Toll House cookie recipe. You get the chance to make a selection of any of the following gourmet cookies: chocolate-iced pecan squares, brown-edged pecan wafers, Tennessee icebox cookies, espresso brownies, elegant almond bars, Palm Beach lemon cookies, all-American coconut macaroon, and Sicilian fig pinwheels! We decided to bake the Palm Beach lemon cookies, the Tennessee icebox cookies, and the brown-edged pecan wafers and they were all superb. Our instructor made sure that we all received a lot of personal attention and that we were all able to master the techniques behind making bar, drop, refrigerator, and rolled cookies. The class was about four and a half hours, but, as in the macaron workshop, the time really flew by. After a lot of debate, we have to say that the Palm Beach lemon cookies were our favorite creations--they were the perfect combination of sour and sweet! The way to anyone?s heart is through the stomach. 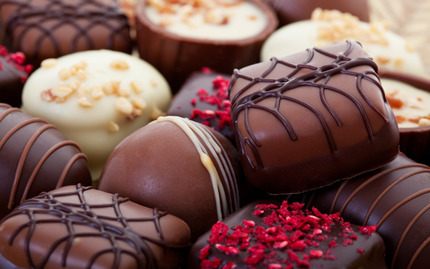 Win over that dashing crush of yours with homemade chocolates made with high-quality chocolate provided to you by Tache Artisan Chocolate. The treats you create will not only be tasty, but customized and much more meaningful than mediocre chocolates from the corner store!